This news article is from our news archive, details may be out of date - thank you. 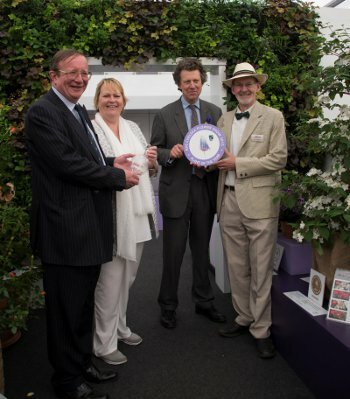 We are delighted to announce we have been awarded PLANT OF THE YEAR at this year's Chelsea Flower Show. Masses of deep red berries in Summer turning glossy black as they ripen. 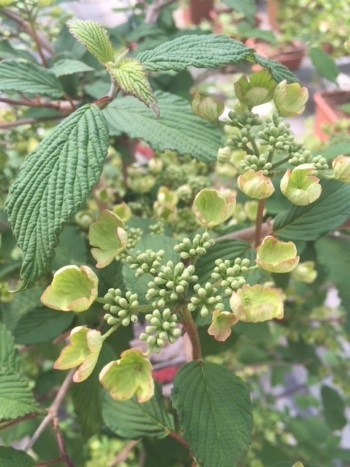 Once the berries have gone in late Summer there follows a second light flowering. Throughout these four chapters the plant has an excellent upright habit allowing it to be easily trimmed lightly into a pyramid with horizontal layers like a wedding cake. 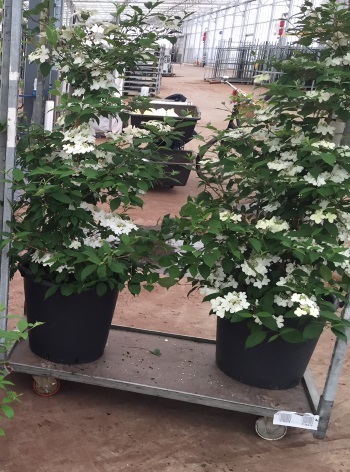 Perfect for small spaces as the pyramid shape takes flower up vertically without robbing the light and attains app 2.5 m in height by app 1.5 m width after 10 years. Suits sun or light shade, most soil types ph 5.6 to 7.5 and hardy to minus 18 degrees C.
Jan Willem Wezelenburg Hazerswoude discovered this as a seedling amongst the crop of the recently introduced parent V plicatum Kilimanjaro. PBR protected. 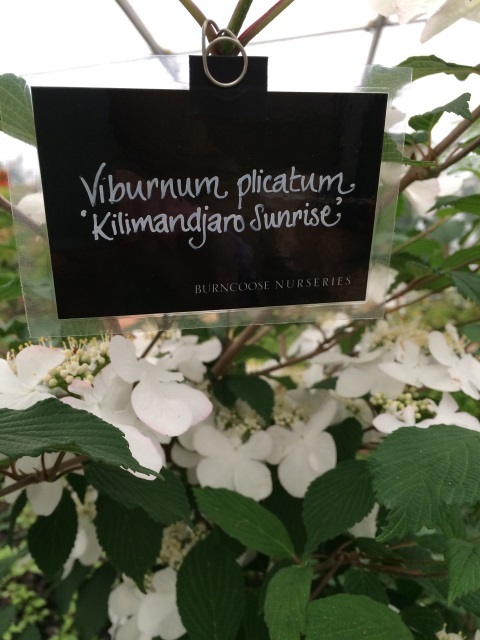 You can read more detail about the plant's application to become 2015 Plant of the Year here.